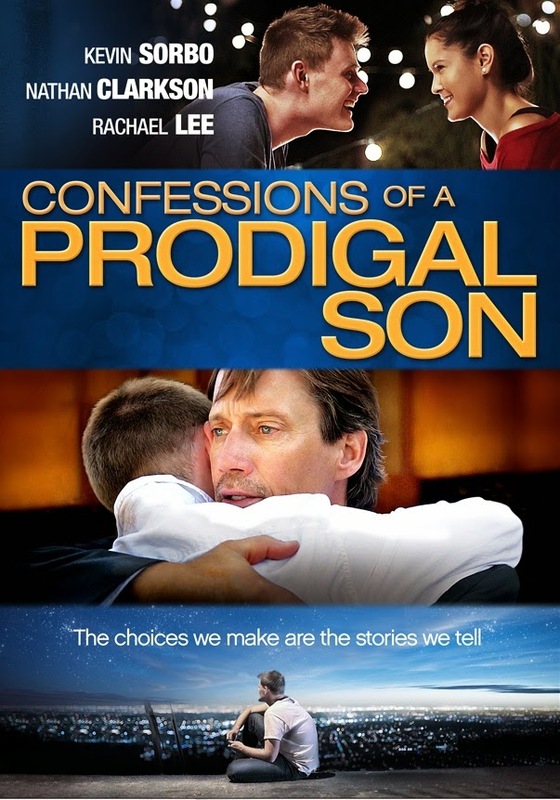 A modern retelling of a powerful biblical story comes to life when Confessions of a Prodigal Son is available on DVD and Digital HD March 24th from Cinedigm. Having viewed God's Not Dead, it was a tad bit hard for me to wrap my head around Kevin Sarbo playing a preacher in this film. There were also other similarities to God's Not Dead, in that a professor challenges a student to question life choices. With that said, Confessions of a Prodigal Son is a stirring movie that will pull at your heartstrings. Confessions of a Prodigal Son tells of a guy named Sean who leaves home, and not on the best of terms. His father, a preacher, is saddened. Sean enters college and starts on a string of bad behaviors, but also fights with inner conflict between right and wrong. His college friend isn't exactly a good influence. Sean ends up meeting a gal who is a dance instructor and moments between the two further has Sean wrestling with morality and faith. To top it off, a college professor lectures the students on life's choices. All of this together make Sean look deep inside himself and ultimately make the right decisions. Confessions of a Prodigal Son is a mostly satisfying movie with plenty of emotion and scenes that will direct you to explore your life story and choices. I loved the movie God's Not Dead and if this movie is any thing like it I'm sure I would love it. It sounds really interesting. It's one movie I have to see.